2015 - ongoing Professor for Software-Engineering, Institute for Software Engineering IST, Faculty of Informatics, University of Koblenz-Landau. 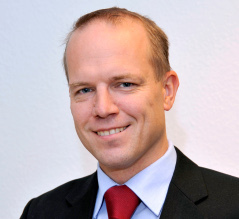 2009 - 2015 Professor for Software Engineering, Department of Computer Science, Technical University Dortmund. 2008 - 2009 Royal Society Industrial Fellow at Microsoft Research Cambridge (MSRC). 2008 - 2009 Non-Stipendiary Research Fellow at Robinson College (Univ. Cambridge). 2006 - 2009 Senior Lecturer, Research Group for Secure Software Engineering, Department of Computing, The Open University. May - July 2007 Software and Systems Engineering, TU Munich (Germany). Visiting Manfred Broy. May - August 2000 Bell Labs, Palo Alto (Lucent Tech.). Visiting M. Abadi. 09/2009 Appointed as Senior Member, Robinson College (Univ. Cambridge). DPhil (Oxford PhD) supervised by Prof. Samson Abramsky, FRS supported by the Studienstiftung des deutschen Volkes and the Oxford University Computing Laboratory. Thesis on Principles for Secure Systems Design published by Springer (later translated to Chinese by Tsinghua University Press, Beijing). The first two years of my PhD studies were spent at LFCS, Division of Informatics, University of Edinburgh, GB.